Before we discuss Binary vs Forex. Firstly you have to understand that it will be difficult to be profitable on either if you don’t have an understanding of trading as a whole. So beginners please educate yourselves well and always keep on learning. Check out Trading Strategies . A major difference between these are the returns. Binary options has fixed percentage payouts, 70% to 80% is common. However this does vary depending on the broker or type of trade. But with Forex your returns are not so limited and you can even see such as 200%. Another big difference is the expiration, Binary has fixed periods ranging from minutes to weeks. 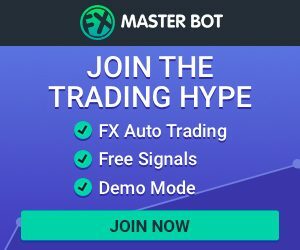 Where as Forex you control or implement tools on when to exit. Price action and momentum knowledge helps with both greatly in association with what you learn from this Binary vs Forex article. Risk reward – As long as you know what you are doing you are in full control here. you have tools such as stop loss to protect and even lower your risks while allowing to gain decent profits with minimal risk. Trade cost – In this instance costs are always determined in spreads. Not a single amount. Trade size – This depends on the broker you chose and works as lots. However minimum size of trades are calculated in micro-lots. Leverage and margins – This varies with different brokers but an example as 1:200 is typically common. So what this means is, you could trade a $20000 trade size using just $100 of your account. Volatility – The financial markets are known for sudden volatility, due to different factors. Mainly economic news. This sudden move in the market could trigger your stop loss or dry your account. 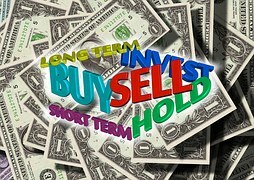 Room for human errors – Forex trading is very technical and you must consider a few factors when you entering a trade. Also you must remember to place implement your tools such as stop loss and profit losses to safe guard yourself. Due to these there is room for human error which can result in losses. Risk reward -Binary options trading is straight forward, trade a set amount for a set return. Thus allowing you to better strategies. Usually returns are 70% to 80% of trade amounts. There are different are different type of trades which have larger percentage returns too. Trade cost – Straightforward no spreads to concern yourself with. Trade size – Simple and easy to understand, once again depends on broker, but you can start with as little as $1 per a trade up to $100000. (varies with brokers). Leverage and margins – No need to worry about this with binary options trading. There are none. Volatility – Since you have set expiry periods volatility spikes and drops doesn’t close your trade. Its continues until the expiration time. In fact you can actually use these to your benefit (more on that in binary options strategies). Room for human errors – Not much room for error with binary options as its a simplified form of trading. So to conclude, both forms of trading has pros and cons. Depending on your experience and type of Trader you can decide which suits you best. However Binary Options Trading is the simpler of the both and recommended for beginners and professionals alike . The usability of the broker platforms and the simplistic nature of it makes it ideal for people who wish to enter the profitable world of Trading the financial markets. I have been exploring for a little bit for any high quality articles or weblog posts on this kind of area . Exploring in Yahoo I eventually stumbled upon this site. Reading this info So i’m happy to show that I’ve an incredibly just right uncanny feeling I found out exactly what I needed. I so much definitely will make sure to don?t forget this website and provides it a glance on a continuing basis.